CONCORD, Calif., July 1, 2011 (SEND2PRESS NEWSWIRE) — Gold Pan California (www.goldpancalifornia.com), a gold mining supply shop located in the Bay Area, is full of suction dredge gold miners celebrating a line-item veto that Governor Brown made in the final State Budget today. “This is the vindication we’ve been waiting for,” says owner Mike Dunn. Suction dredge mining in California has been under a temporary moratorium since 2009, when the Department of Fish and Game (DFG) began conducting an Environmental Impact Report on the practice. In February 2011 the draft report was released, which concludes that suction dredge mining is not deleterious to fish. But the positive outcome was not anticipated by a handful of Indian tribes and environmental extremists who don’t like suction dredging, so they concocted an erroneous $1.8M deficit in the suction dredge program and proposed to Jared Huffman (D-San Rafael) that he carry the ‘budget cutting’ language to the State Budget in a trailer bill. The bill language was written in such a way that the DFG would have been prevented from ever publishing the EIR, thus ending suction dredge mining forever in California. Miners got word of the last-minute attempt to kill the industry and began contacting Governor Brown and the Legislators who had been supplied with the erroneous information. In three party-line votes, all Democrats voted for the ‘budget cut’ and all Republicans voted against it. Because the Democrats have majority in both houses, the trailer bill passed and was sent to the Governor for his signature. Fortunately, the bill died there today. With Governor Brown’s veto, the DFG can now publish the EIR findings and resume updating the dredge mining regulations. However, in a companion attack by the same anti-mining foes, amended moratorium language was inserted in yet another trailer budget bill AB120, which, if enacted, will add five more years to the soon-expiring moratorium which began in 2009. If the Governor vetoes the trailer bill language, the nearly immediate consequences to California’s economy would be positive: 4,000 miners will be back to work and 15,000 inter-related jobs will be protected, adding much needed revenues to the State’s coffers. The suction dredge gold mining industry generates $23 million annually in California, and supports jobs in more than 14 sectors, including restaurants, hardware stores, gas stations and camping outfitters. “These are real mom and pop businesses that rely on miners every season,” says Dunn. They, along with the miners, are hoping for a quick and positive decision by the Governor on AB120. The company was founded in 2008 by Mike Dunn, an international gold mining specialist who has been suction gold dredge mining for 33 years. 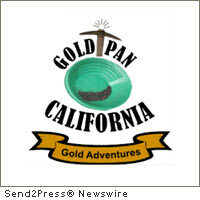 For more information visit http://www.goldpancalifornia.com . Original Keywords: Gold Pan California, mining and metals, Mike Dunn, an international gold mining specialist, Jared Huffman, gold miners Gold Pan California Concord California CONCORD, Calif.
REFERENCES: Ballots Bills and Laws News, Gold Pan California, mining and metals, Mike Dunn, an international gold mining specialist, Jared Huffman, gold miners Gold Pan California Concord California CONCORD, Calif.